It’s what sailors have always searched for when the weather took a turn for the worst, a sanctuary. Isn’t that what we’re all looking for today amongst these shouting headlines? Our friendly, historic city may be just what the doctor ordered. Alpena is that place where history and heritage collide with relaxed outdoor adventure. Your base camp for adventuring through Northeast Michigan. 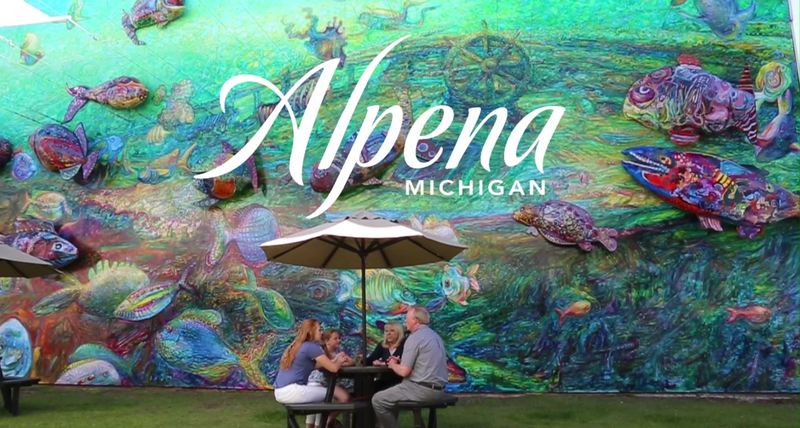 Alpena Michigan is a modern city at nature’s doorstep. We’ve turned the volume down and slowed the pace a bit so you can relax, rejuvenate and discover your family and what matters most in life, all over again, in your Sanctuary of the Great Lakes. "I'm still pinching myself that the [Maritime] Heritage Center is a free attraction in Alpena. The displays are well-done and informative. The layout is logical and useful. All in all, well worth an hour-plus visit while in Alpena." "Perfect kayaking experience surrounded by nature [Duck Park & Island Park]. View Bald Eagles, Great Blue Heron, swans, ducks, deer, turtles, many other kinds of birds and plant life! So close to town but on the water you sense the serenity and peace of what nature has to offer!!"